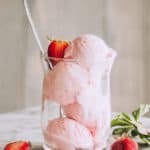 2-Ingredient Homemade Ice Cream | No Ice Cream Maker Needed! 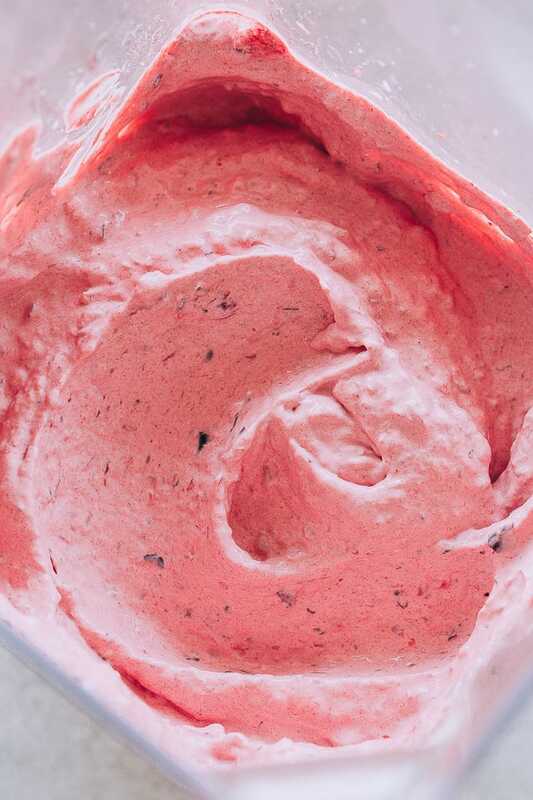 Frozen berries blended with heavy whipping cream create a rich and sweet homemade ice cream. This simple recipe comes together super fast, and will become your go-to ice cream recipe. Friends, take out your blender because we’re about to make real, creamy ice cream in just seconds. Literally. At its simplest, 2-ingredient ice cream is just frozen berries and heavy cream blended up into soft serve. BUT, add in additional ingredients like, chocolate syrup, or nuts, or sprinkles, and you’ve just created your own ice cream recipe. 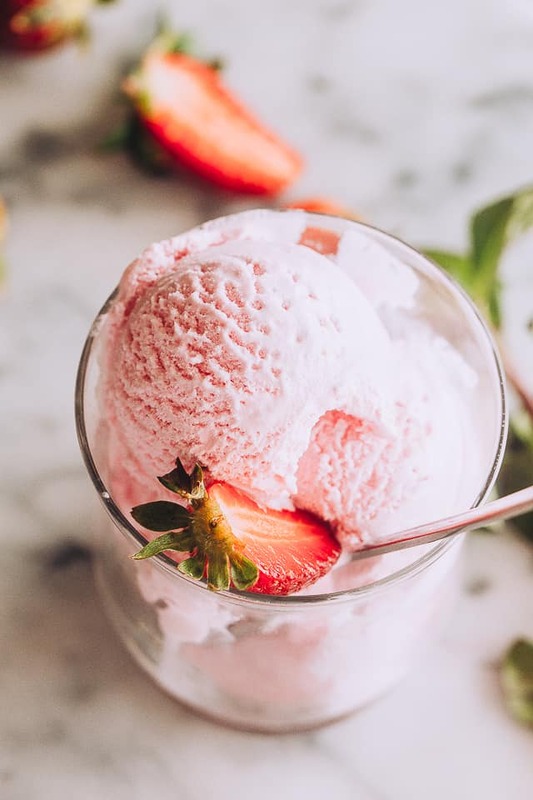 This sweet treat is just as delicious as real ice cream, but without the need for added sugar, eggs, or an ice cream maker. 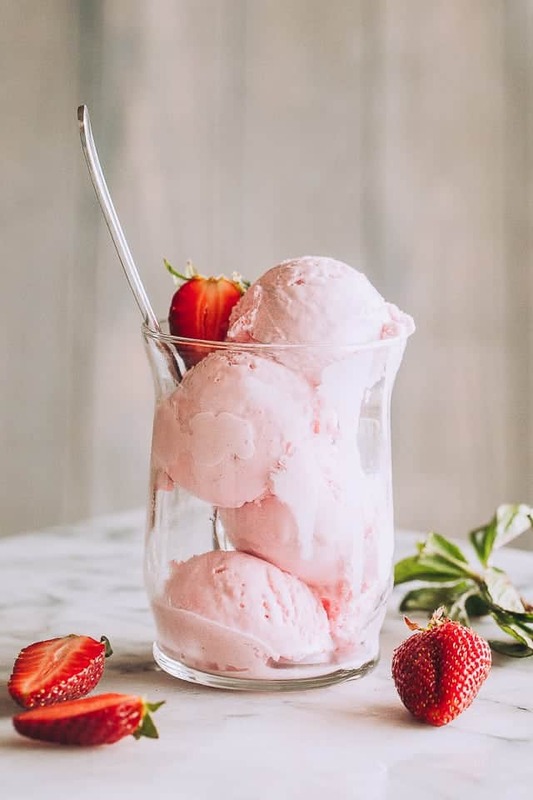 For the reason that my kids complain about tart-ish berry ice cream, I do add couple tablespoons of sweetener to my recipe, but you don’t have to. One bag (10-ounces) frozen berries, or any other frozen fruit. You may also use fresh fruit, but you will need to cut it up into 1 to 2-inch pieces and freeze it before making the ice cream. 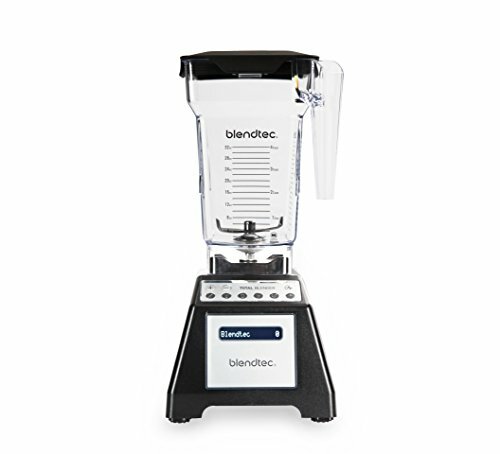 For best results, you want to use a high-power blender, like Blendtec, but this does work with regular blenders, too. I have also used a food processor, and that worked, as well. HOWEVER, you might need to add a little more liquid to get it to blend. Pour out the frozen fruit into the blender. If using a sweetener, sprinkle it on top of the berries inside the blender. Process/pulse just until the fruit is roughly chopped. Pour in the heavy cream, and continue to process just until everything is incorporated. Scrape down the sides with a spatula, as needed. And that’s it! 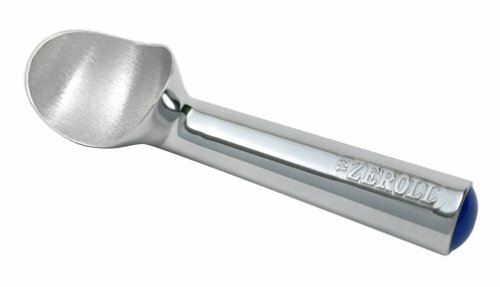 Scoop it out and eat. OR freeze it for later. My favorite way to eat it is soft serve, straight out of the blender as soon as it’s done, but you can also freeze it so it is firm enough to scoop out and serve in cones. You are now, for forever and always, only 2 minutes away from Homemade Ice Cream. This outrageously easy “ice cream” is just the sort of dessert that can instantly please a sweet tooth. If you need something very similar, but healthier, jump over to my recipe for Blueberry Banana Ice Cream. Frozen berries blended with heavy whipping cream create a delicious texture that’s rich and sweet just like real ice cream. 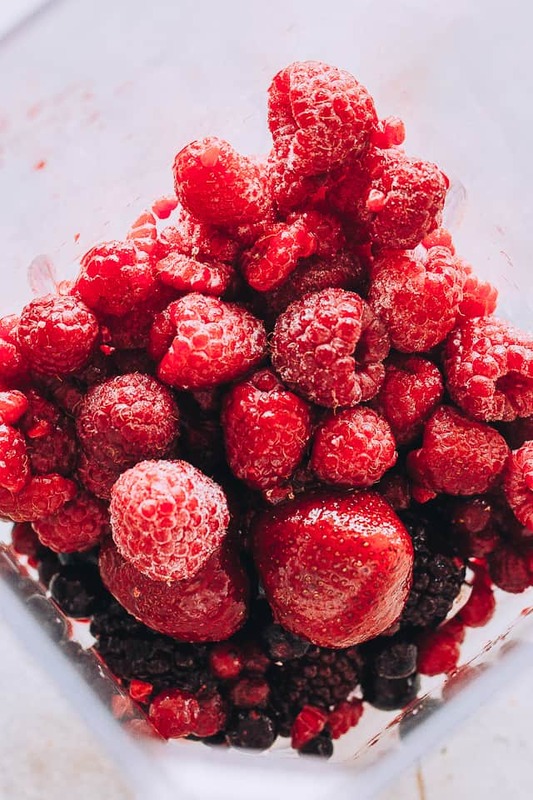 Place frozen berries and sweetener, if using, in a food processor or blender; process or pulse just until the fruit is roughly chopped. Pour in the heavy cream, and continue to process just until everything is incorporated and smooth. Scrape down the sides with a spatula, as needed. Serve immediately or freeze for later. Before placing it in the freezer, cover with wax paper to keep ice crystals from forming on the top. Keep in the freezer for up to 2 weeks. Best idea for homemade ice cream EVER! I love how easy this ice cream is to make. Fab recipe! Looks so delicious and it’s an easy recipe! I’ll be trying this as soon as the weather warms up! I loved it!! Such an amazing summer treat! This is the best! So creamy!